Google Ads has been around, for a long time. So much that Google Ads has developed and implemented advanced bidding strategies for you to help automate your bidding strategies, maximize your Google Ad Budget, and to help you achieve your goals with Google ads. 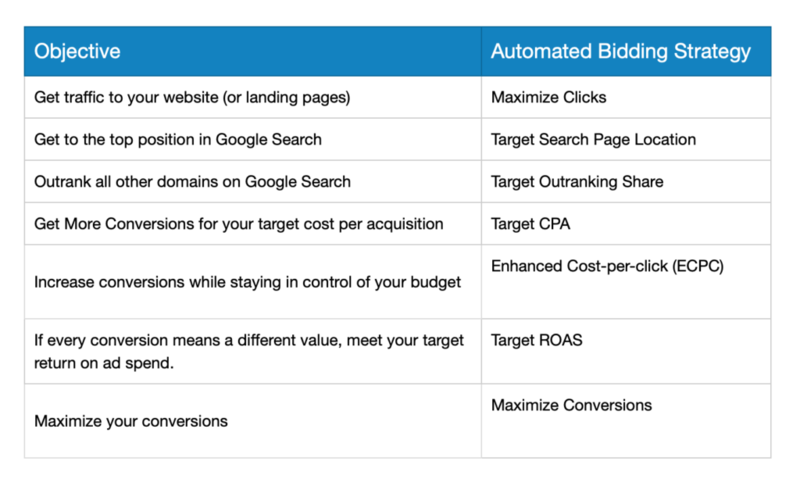 Popular advice Google Ads automated bidding strategies make you believe that by choosing the Manual CPC (Cost per click) bidding strategy, you can apparently stay in control on your budget and hence get more out of your Google ad campaign spend. You can certainly control your budgets using the manual CPC. However, not every business owner or marketer has the time to manage the bidding process for thousands of keywords and various campaigns running at the same time. 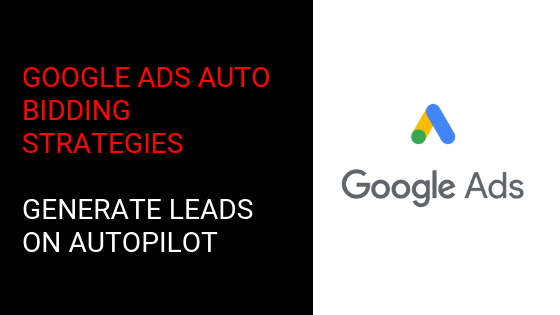 Agencies that manage hundreds of campaigns for several clients automatically graduate to using automated bidding strategies and also Google Ads scripts. They still get the results for their clients. So, what does that tell you about the effectiveness of automated bidding? Business owners have their “business” to run. If there are several campaigns, each with its own objectives, can you imagine just how Google Ads management turns out to be a full-time job? Google uses advanced algorithms, machine learning, and artificial intelligence based on volumes of data they already have to give your campaigns a good chance to succeed. You neither have that kind of data nor do you have the technology to let your campaigns win. Sometimes, it makes sense to let Google do the heavy lifting. If every conversion means a different value, meet your target return on ad spend. There are automated bidding strategies available for virtually any objective you have for your business. I’d wager a bet right now that almost 80% of the campaigns running on Google Ads (and even Facebook ads) don’t point to a landing page. Most businesses don’t have funnels in place to capture leads and nurture them. In the age of bots and conversational landing pages, it’s surprising to see just how much of your Google ad spend goes to waste. To be specific, more than 98% of Google ad spend is wasted. You shouldn’t be launching any campaigns whatsoever without message matching landing pages in place. You can have as many landing pages as you need to make your ads and matching landing pages ultra-specific. With DIY landing pages like Leadpages and Unbounce, you can’t make excuses. If you sign up leads for your campaigns, you’d have to find a way to nurture your leads. The best way to automate this to a certain extent is to use email marketing automation software such as Drip or MailChimp. Note: Don’t go off and build your own email marketing automation tools, that’s reinventing the wheel and its complete stupidity. Set your Google ad campaigns, launch them, point your campaigns to specifically built, message matching landing pages, and integrate your landing pages with Drip or Mailchimp to automate your email marketing too (with welcome emails, transactional emails, shopping cart abandonment emails, retargeting emails, and pre-set autoresponders). Once or twice a week, send out a broadcast to your leads. Think about it: Google Ad campaigns on autopilot + generating leads through your landing pages + email marketing on autopilot. That’s just sweet, isn’t it?